University VW Audi invites drivers throughout Seattle and the Puget Sound region to shop and visit our dealership group for quality new and used cars for sale, plus auto financing and maintenance. We have been serving Seattle drivers for years and offer three convenient locations where we provide access to the latest vehicles from Audi and Volkswagen, as well as comprehensive automotive services. Don't hesitate to contact our team or visit one of our Seattle and Lynnwood, WA locations at your convenience. If you have been eyeing a new Audi or Volkswagen, then why not go straight to the source? Here at University VW Audi, we stock the complete lineups of two fine automakers, so we welcome you to shop for a new VW Golf or Audi Q5 online or on-site today. Let our sales associates cater to your new car search needs when you contact or visit us, where our team can offer you vehicle tours and test drives. With Certified Pre-Owned (CPO) and used vehicles from both VW and Audi available, plus quality used cars, SUVs and pickups for sale from an array of popular automakers, the dealerships of University VW Audi have pre-owned car shoppers covered. Securing an auto loan for your upcoming vehicle purchase is straightforward when you team up with the finance department staff of University VW Audi dealers. Through our dedicated loan specialists and convenient online credit application, we provide financing assistance for drivers of all financial and credit backgrounds. Seattle area drivers who are shopping for a new or used Volkswagen with less than perfect credit can take comfort in University VW Audi's range of alternative financing packages. 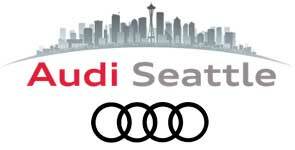 Reach out to our auto financing professionals or explore your new Audi lease options today! 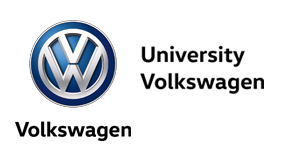 Whether you drive a VW, Audi or another make of car, SUV or pickup, the service departments of University VW Audi invite you to visit for high-quality automotive maintenance and repair services. With our teams of trained and certified service technicians and quality parts and fluids, you can treat your Audi A4 or another model to the professional care and attention it deserves. VW and Audi drivers can schedule a service visit or even request auto parts online from our dealerships serving Seattle and Lynnwood, WA. 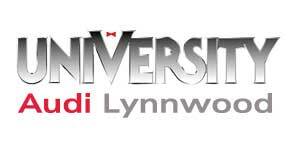 Remember, for all of your automotive sales, service, parts and financing needs in the Puget Sound region, turn to University VW Audi!